Like the majority of our friends and family, we’re enjoying a day away from the office today. That said, there are hundreds of thousands out there that aren’t so lucky, but it is because of them, and those who came before them, that we are able to enjoy an extra day of fun this weekend. Of course, we are talking about the brave men and women of our Armed Forces, and all those who have lost their lives defending the freedoms that we enjoy day in and day out. In an effort to give back, we’re celebrating this Memorial Day by sending a Wounded Warrior Project Backpack Gift ($99) from Under Armour, to a wounded service member overseas. Everyone knows that Under Armour makes some fantastic gear, and we are really impressed with their partnership with the Wounded Warrior Project. Sure, some brands support similar causes but Under Armour has really gone all out with their WWP collection (they even have an awesome truck we have seen around once or twice). While the hoodies, tech shirts, and polos are all great, our absolute favorite part of the collection is the WWP Backpack Gift package. 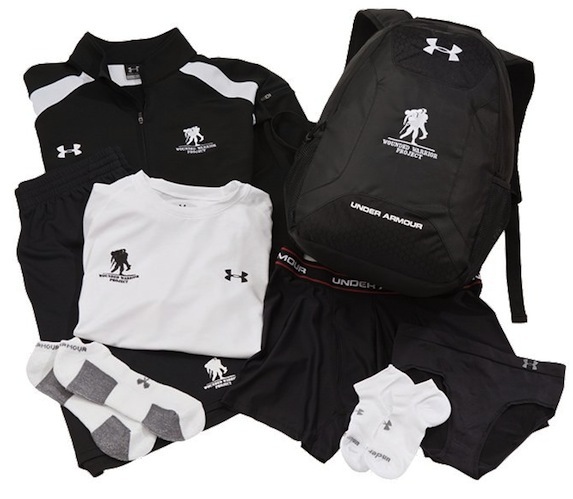 For only $99, UA will send a Wounded Warrior branded Under Armour backpack filled with all the essentials to someone who needs it most, a member of our armed forces who has been wounded in the line of duty. For your part, you’ll receive a limited edition challenge coin, dog tags, and some WWP literature, but most importantly you’ll know you are helping someone out who laid it all on the line so you can enjoy days like today. If you don’t have an extra $99 laying around, a simple “thank you” to a man or women in uniform goes a long way too.